Dining options at this hotel include a choice of eight different restaurants and bars. From burgers, fries, and hot dogs at the poolside Barefoot Grill, to artfully exquisite Japanese Teppanyaki à la carte dining at the elegant Kenko Restaurant and Italian favorites at Sorrento. Jamaican fare highlights the menu offerings at de Terrace, Seabreeze, and Portside, the buffet restaurant that serves as the hub of the entire resort. 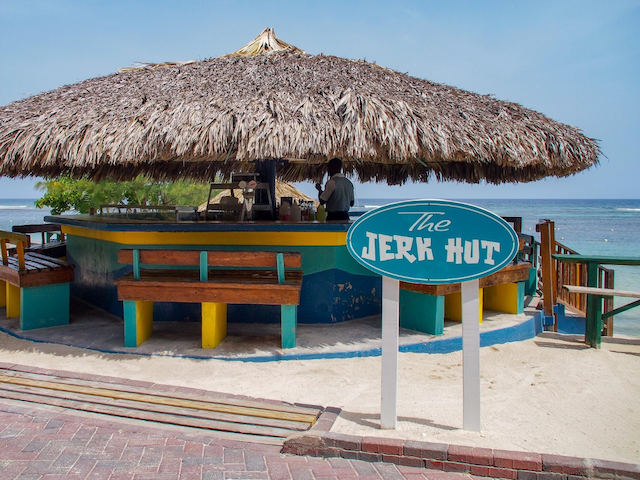 Not-to-be-missed as well is the popular Jerk Hut down on the beach, where the jerk chicken rivals that of Montego Bay’s most popular jerk pits and local restaurants. “Sitting down by the beach enjoying some savory jerk chicken or pork with an ice-cold Red Stripe in hand and the nice sea breeze in your face; for many of our guests there truly is nothing better,” noted Madden-Greig. The all-inclusive guest experience at the Holiday Inn Resort Montego Bay includes unlimited meals, snacks and beverages (alcoholic and non-alcoholic). Premium surcharges apply at Kenko and Seabreeze. Established in 1963, the JCDC was originally known as the Festival Office of Jamaica. In 1968 it evolved into the FestivalCommission a burgeoning force for cultural development on behalf of the government.